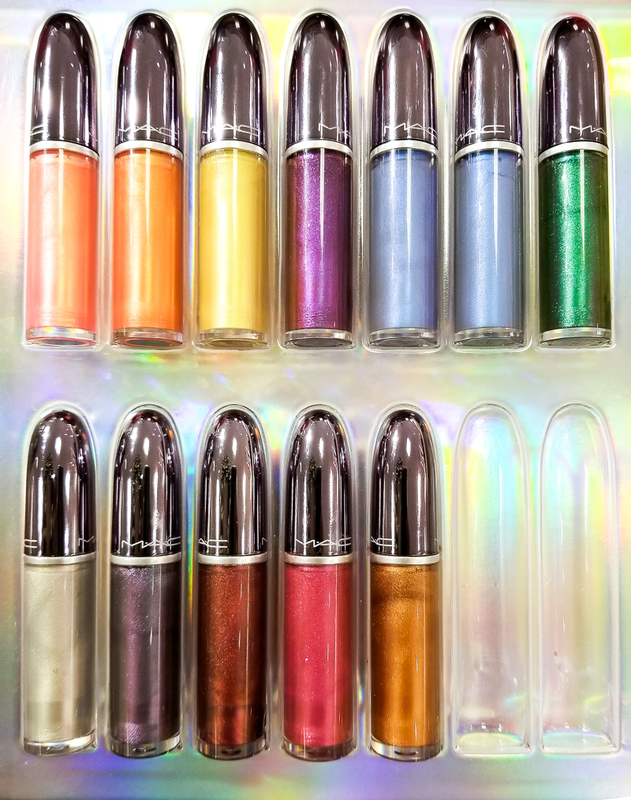 The MAC Grand Illusion Liquid Lip Colors are thick lipglosses, with most of these being quite opaque by gloss standards, though not as much as a liquid lipstick would be. 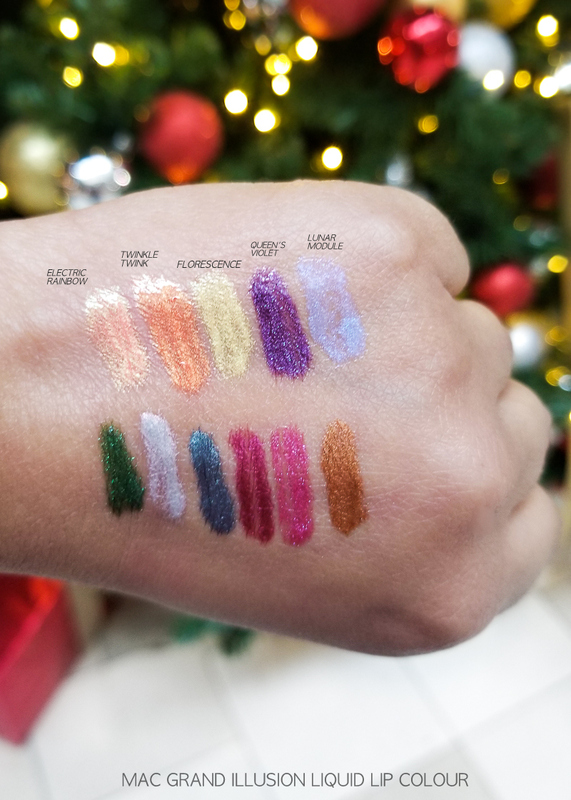 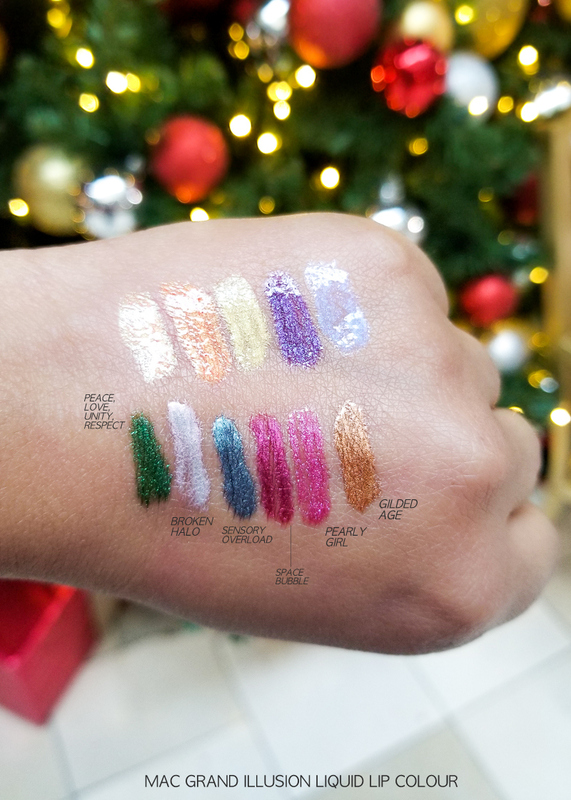 The metallic pearl pigment in the gloss adds sparkly, shimmery dimension to the gloss color, but I was expecting something like a duochrome effect - multidimensional color showing through depending on the angle, and at least on swatches, I didn't see this effect. 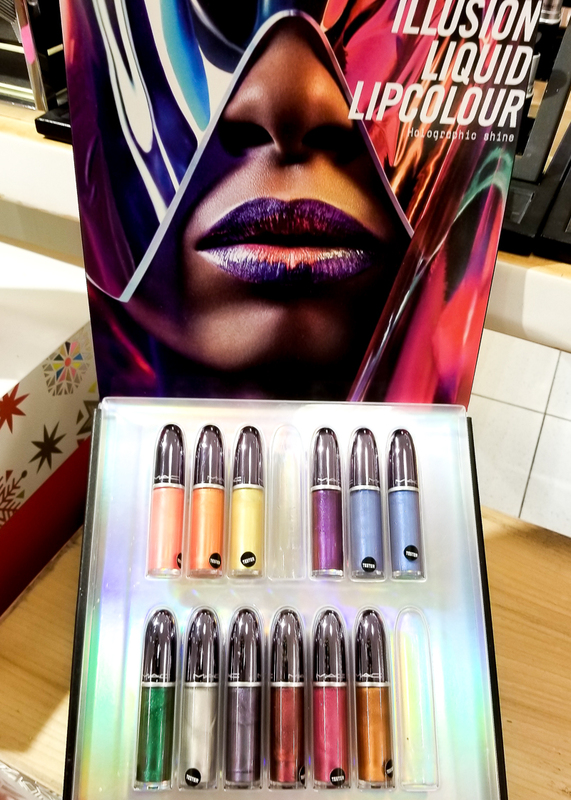 Metallic liquid lips have been showing up in quite a few fashion shoots, and if you are a fan of the molten metal editorial looks (like the one in the promo pic above), these lipglosses would make for interesting picks. 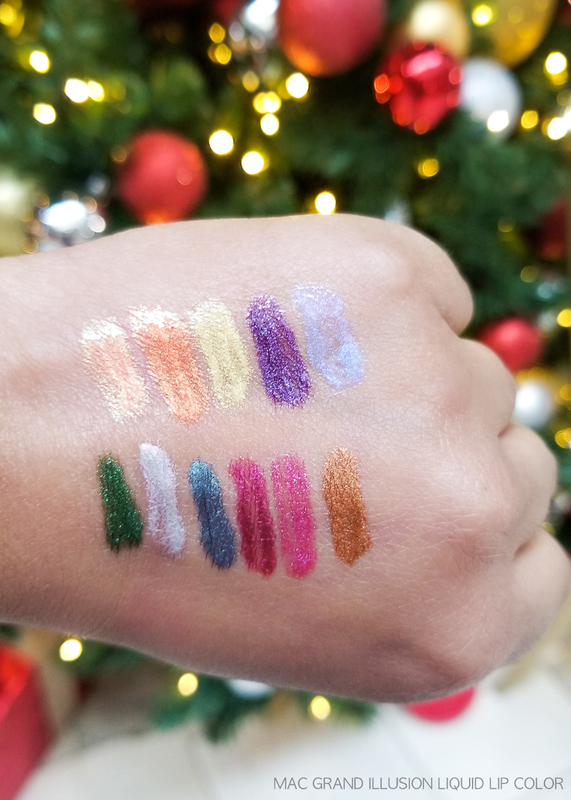 Also great if you have been wanting to try out colors like green or purple - the slightly sheerer payoff of these lipglosses makes them easier to try than more opaque, matte lipsticks.